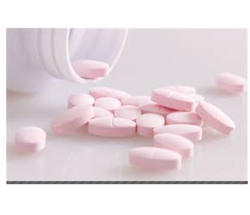 we are engaged in offering a wide range of hormone tablet that is used for the treatments of protein metabolism, blood electrolyte levels and behavior. We are engaged in offering a wide range of hormone tablet that is used for the treatments of protein metabolism, blood electrolyte levels and behavior. These include hormone orals and hormone injectables that are also used for stress response, immune response and regulation of inflammation and carbohydrate metabolism.